The president of the World Boxing Association, Gilberto Jesus Mendoza, presented in Japan last Tuesday the “WBA-Asia”, the new regional organization that will control and govern boxing activity in that region. The announcement was made at the press conference, where Alan Kim was confirmed as its chairman. “The WBA-Asia is the new Asia-based regional organization of the World Boxing Association that will substitute the Pan Asian Boxing Association -PABA- entity that separated from the WBA last year”, said Mendoza while added, “Mr Alan Kim will preside WBA-Asia, and we trust that his ability and love for this sport will benefit the boxing development of the area. Gilberto Jesús Mendoza espera lo mejor para la región. Foto Naoki Fukuda. Alan Kim added that he will do his best to live up to the compromise and that he will work very hard to make WBA-Asia an example to follow in the region. Mr. Hiroshi Akyama, Chief Executive Director of the Japan Boxing Commission (JBC), welcomed the new body. 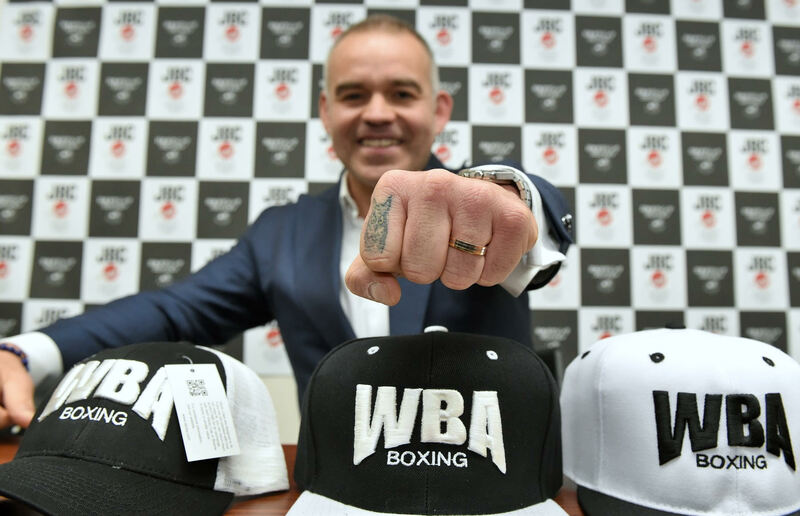 During the press conference held in “Land of the Rising Sun”, Gilberto Jesus Mendoza ratified his commitment to reduce number of WBA champions and said that the objective of the organization he is proud to lead, is to develop boxing in the each region. Mendoza culminó exitosa gira por Asia. Foto Naoki Fukuda.